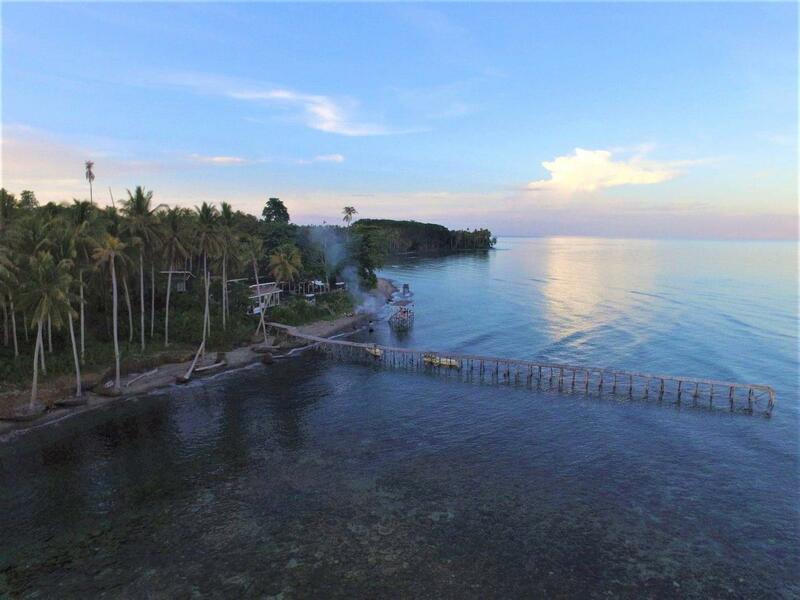 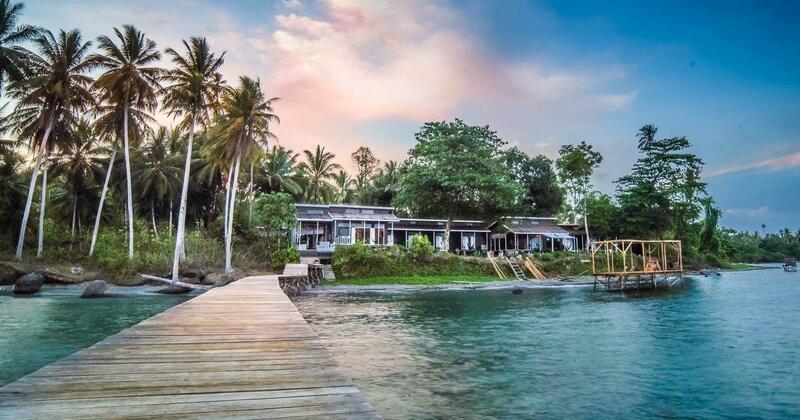 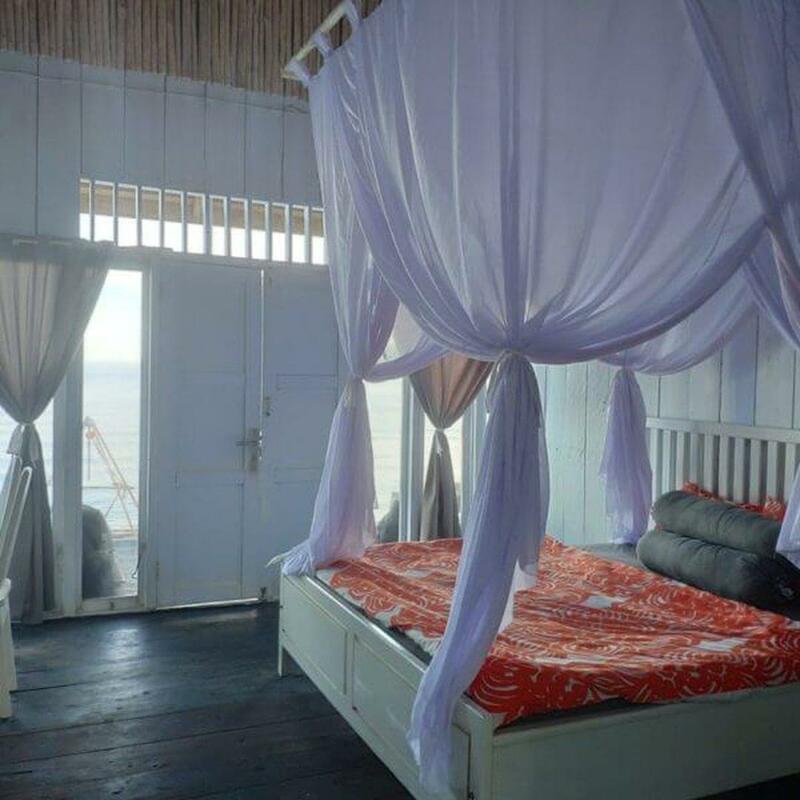 Sanctum Una Una Dive Resort is located on the small island in the middle of the Gulf of Tomini, Indonesia. 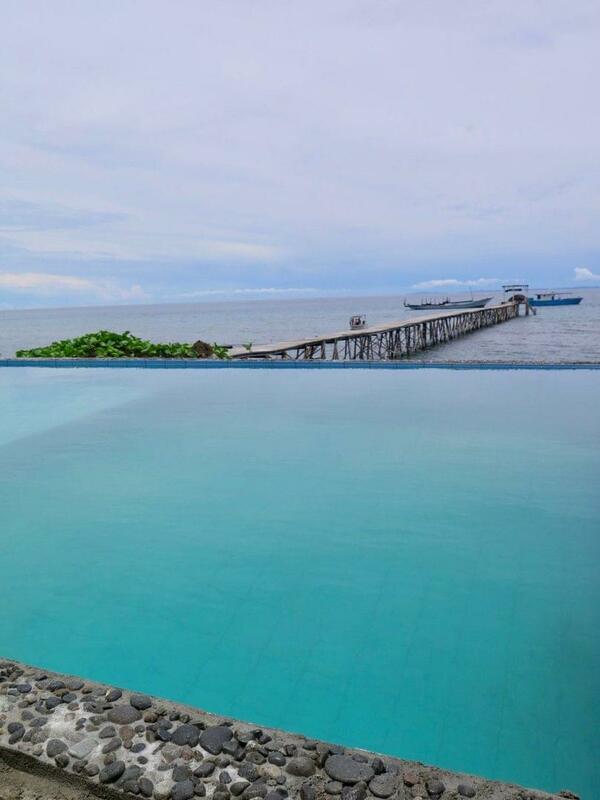 The resort is in the east of the island, directly on the waterfront. 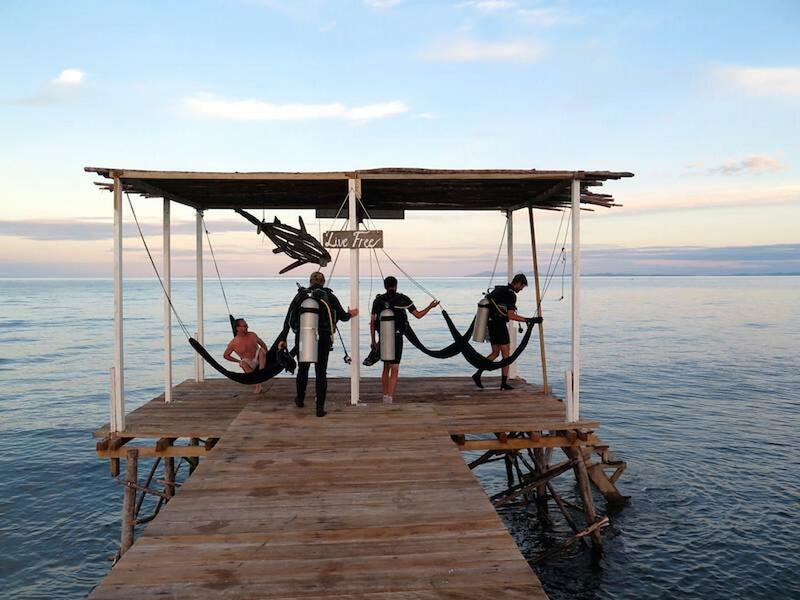 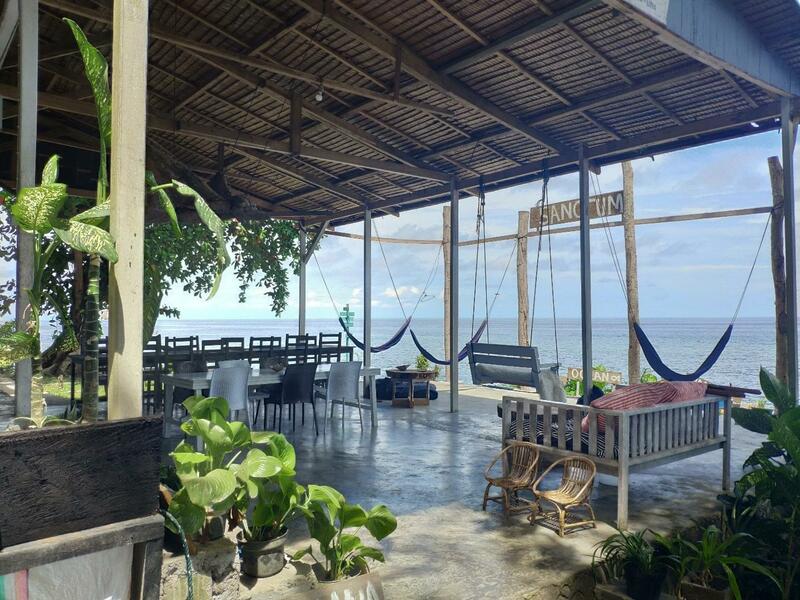 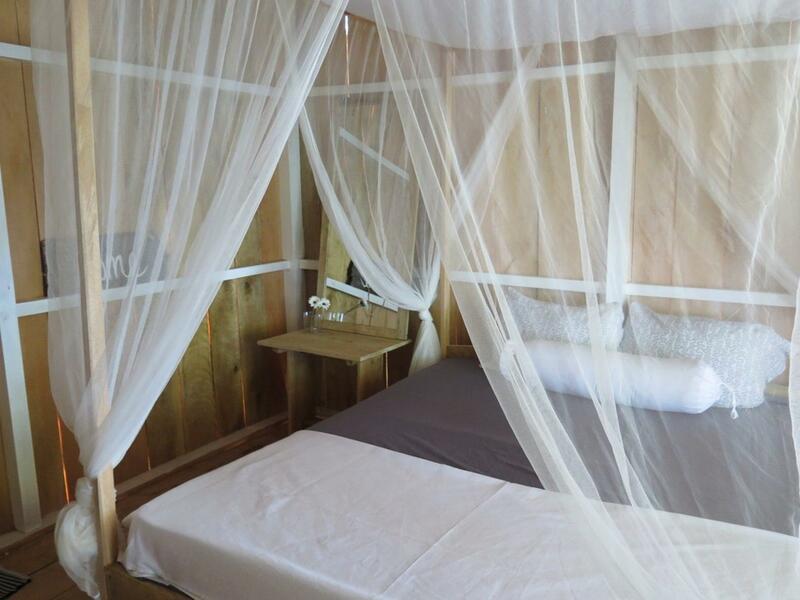 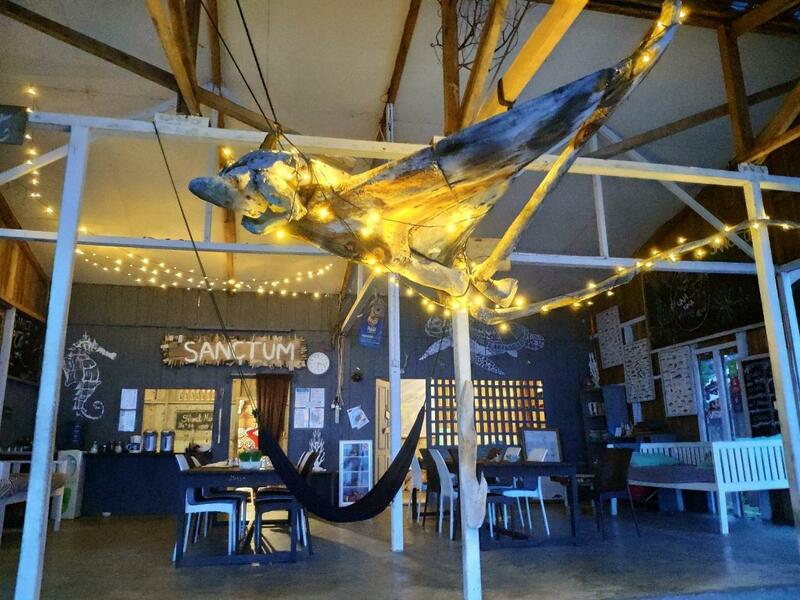 Sanctum Una Una Dive Resort offers simple accommodation options to suit all budgets; all rooms are equipped with a mosquito net, towels, hammock, and private balcony. 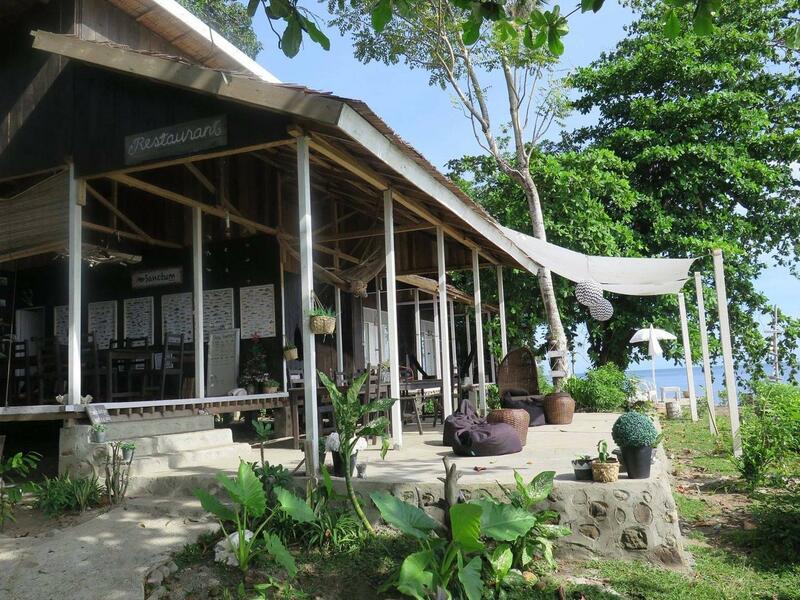 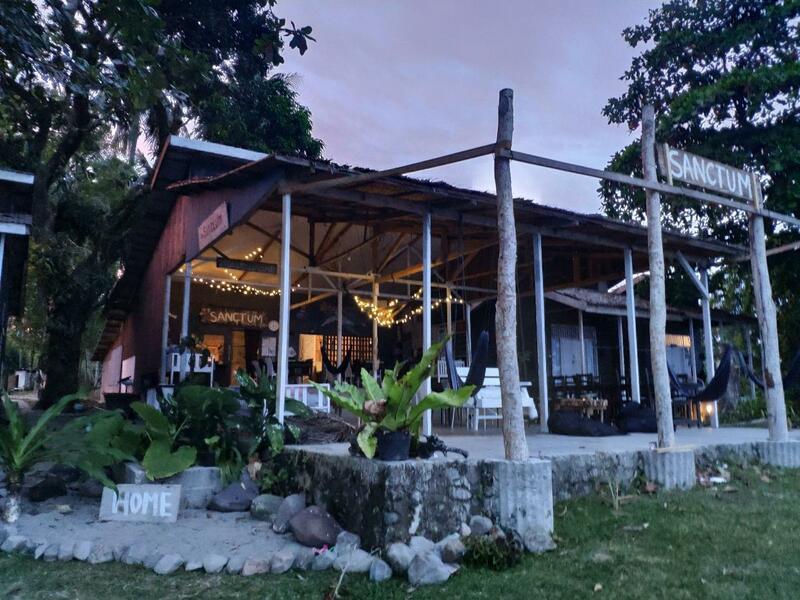 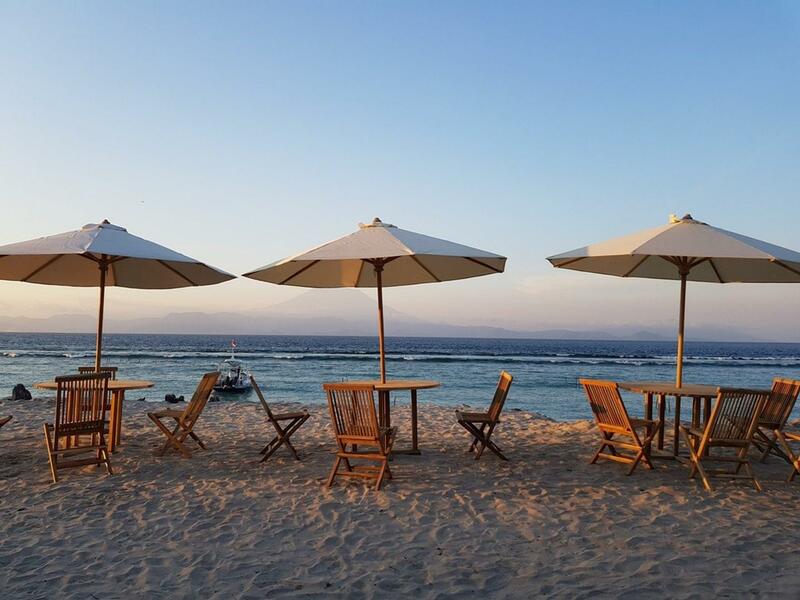 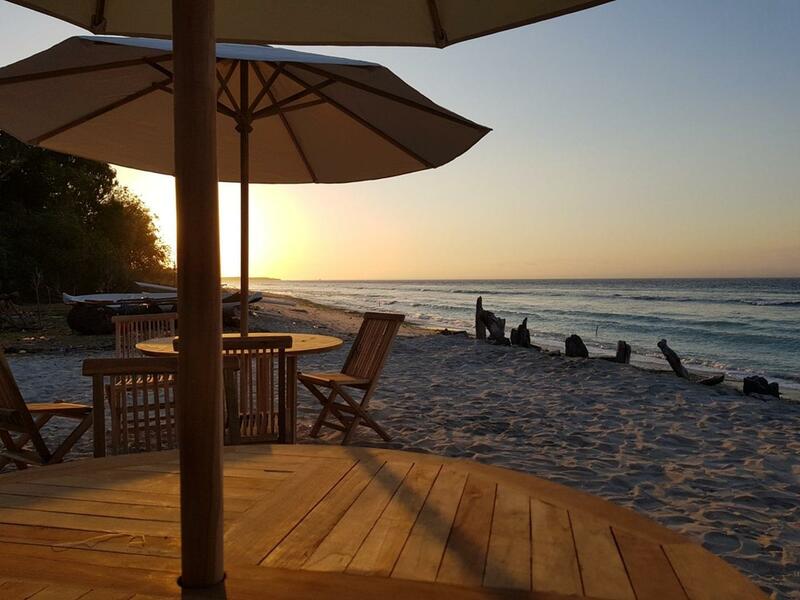 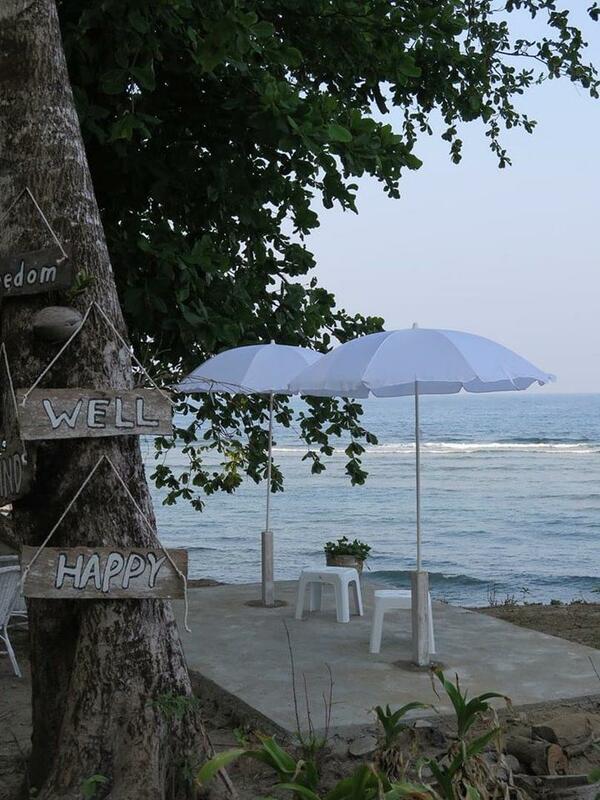 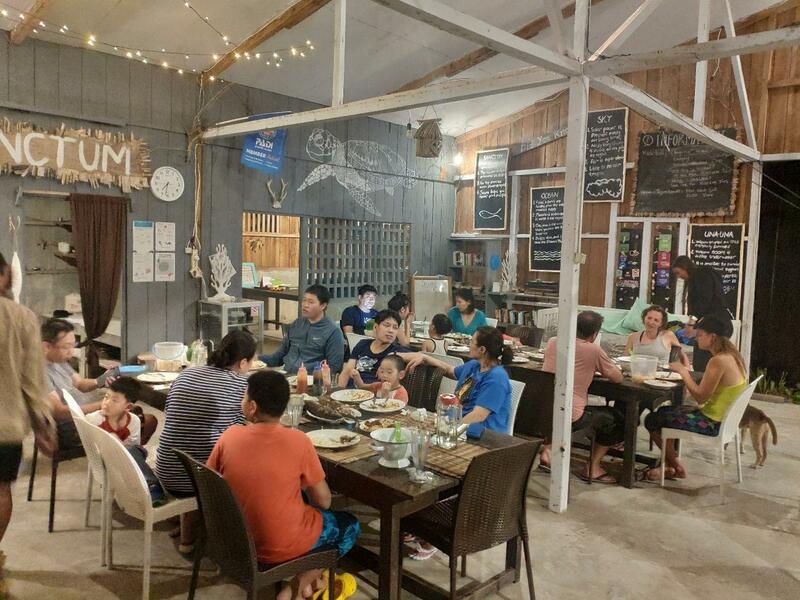 The ocean facing restaurant is located on the terrace where you can chill out, enjoy the view and taste the homemade, freshly prepared and predominantly Indonesian dishes. 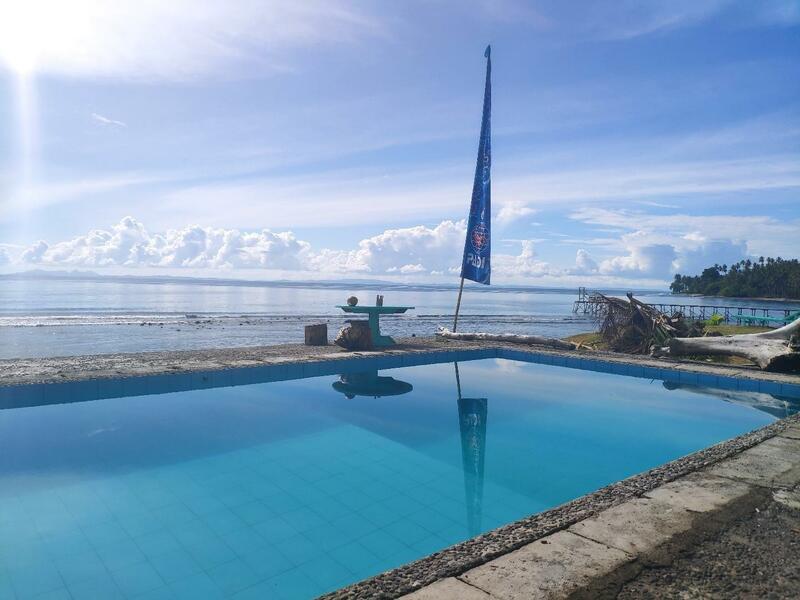 There is a small pool with stunning sea views where you can enjoy a cool drink and chill out after a full day of diving. 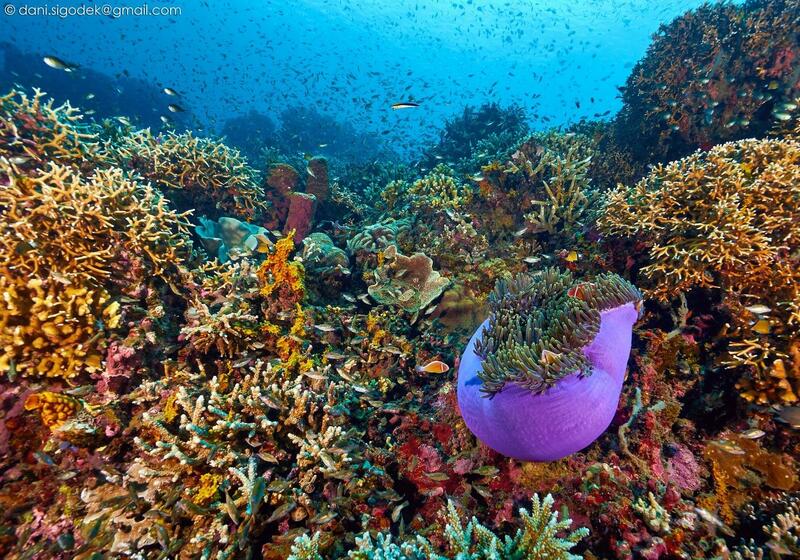 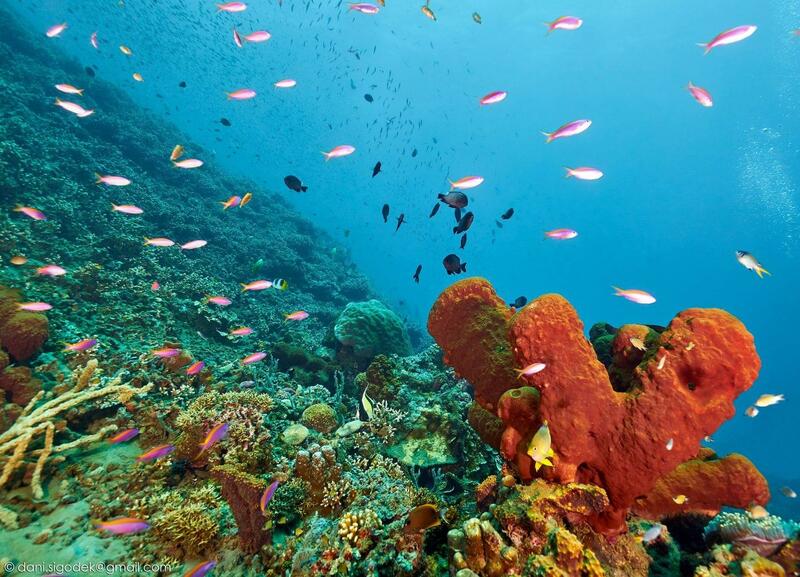 Marine life is plentiful in Central Sulawesi. 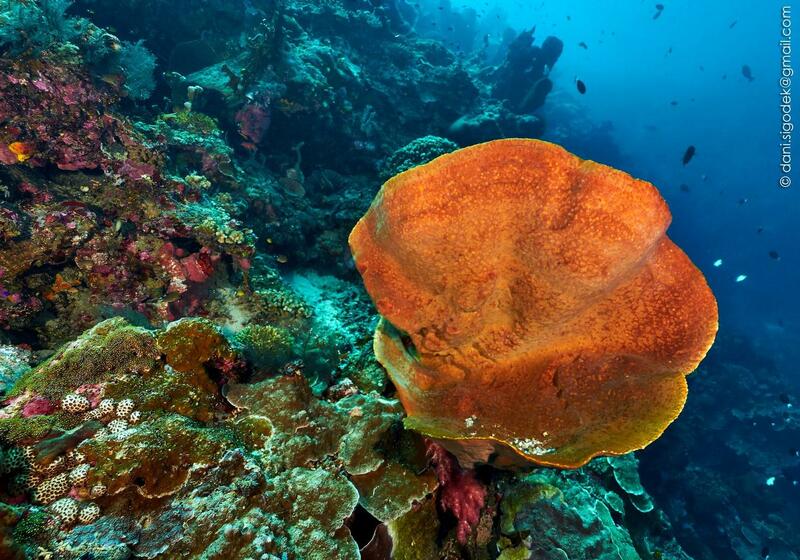 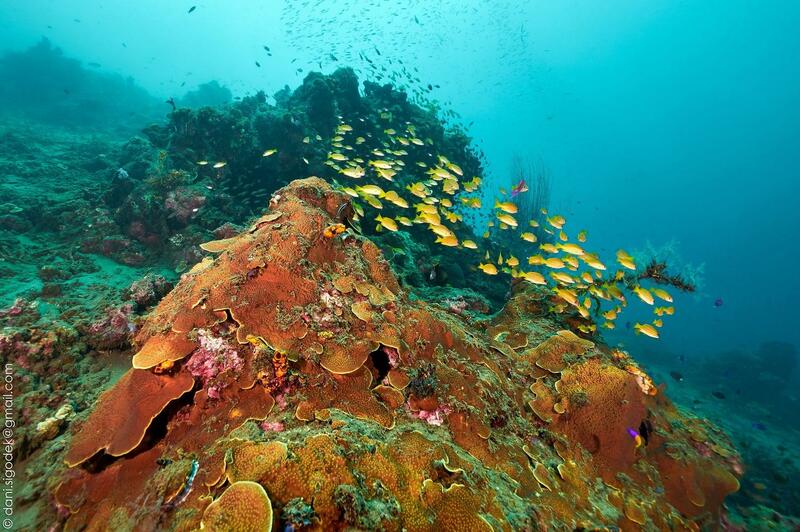 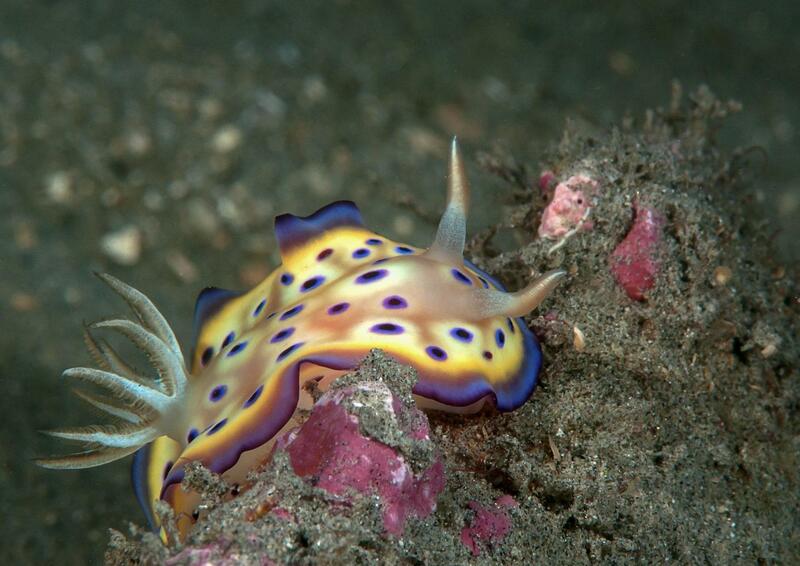 Divers can expect to see colorful hard and soft corals, sponges, gorgonians and fans. 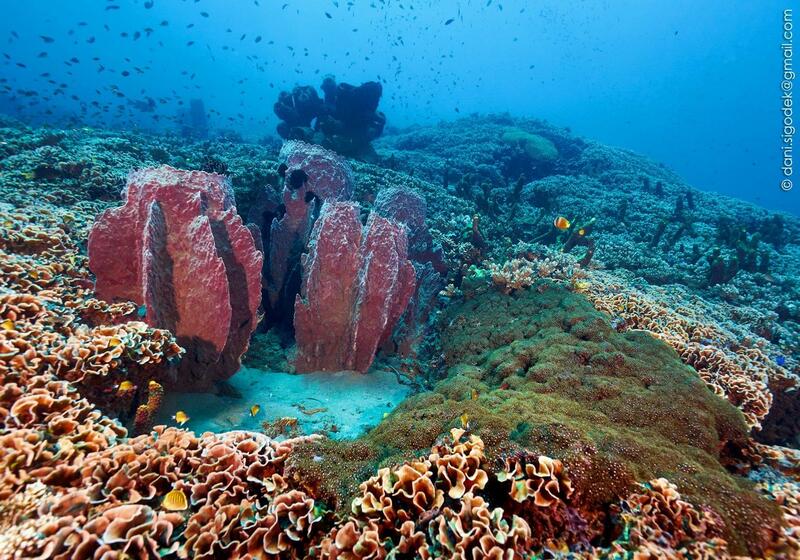 These include at least three endemic coral species. 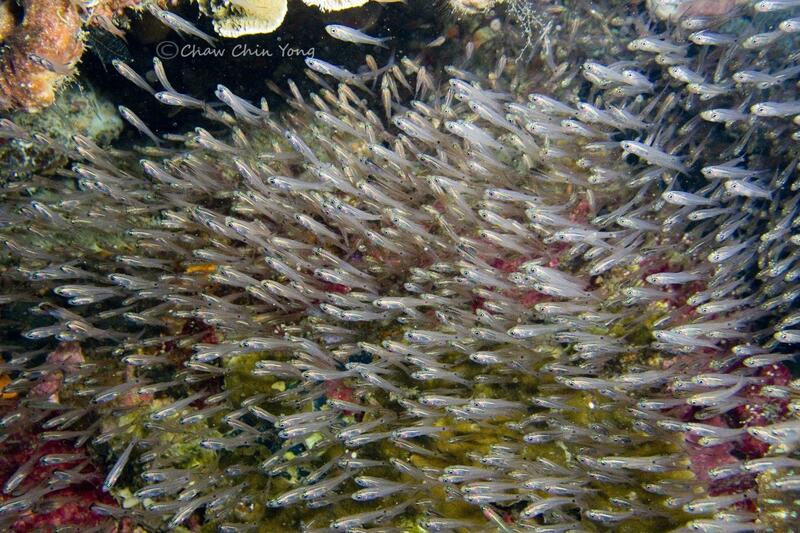 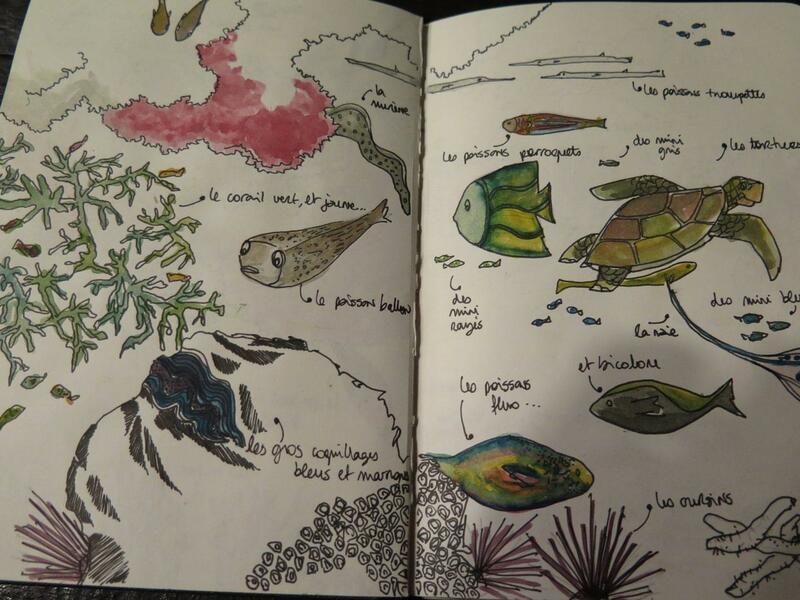 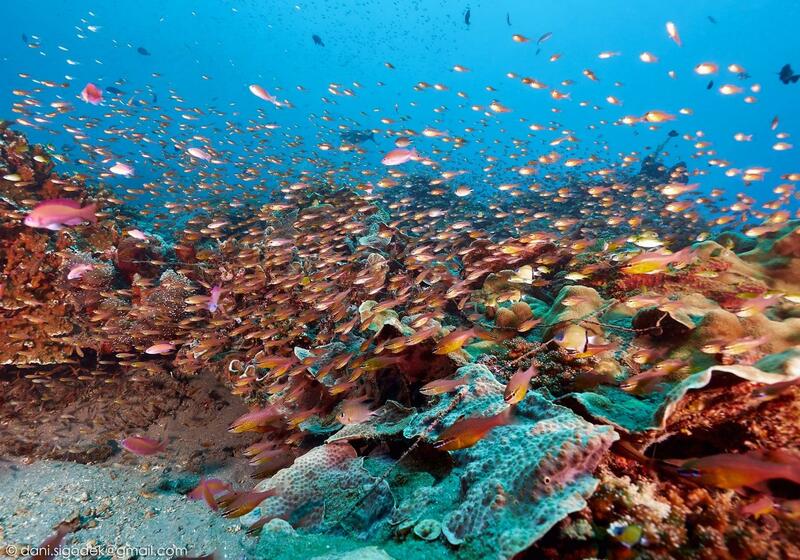 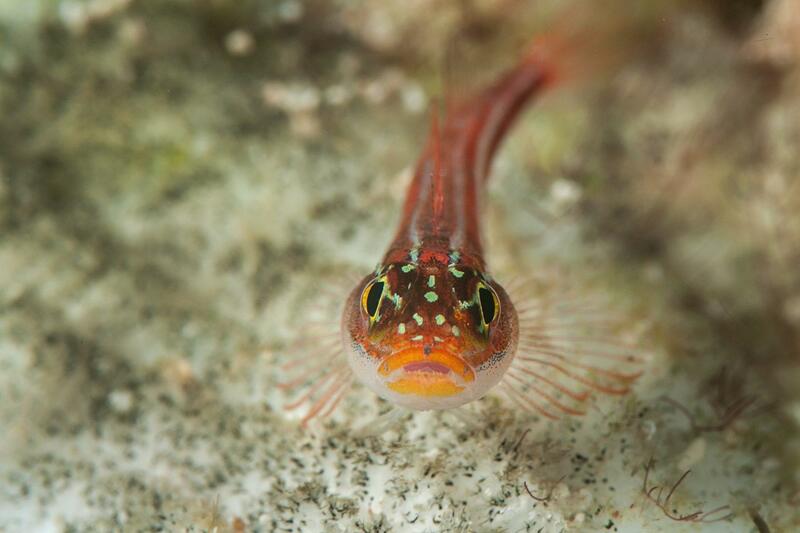 819 species of colorful fish shimmer throughout the reefs, walls and wrecks. 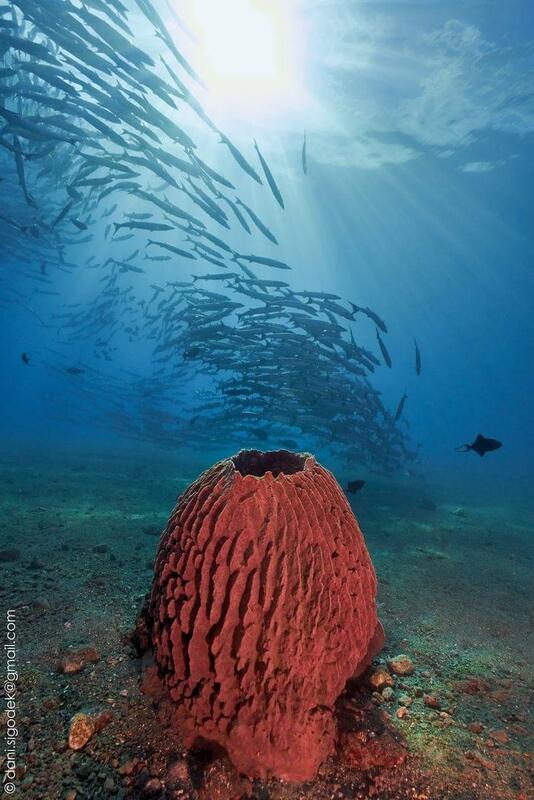 Reef sharks and schools of blacktail barracudas stalk their prey while bobtail squid and frogfish create odd spectacles. 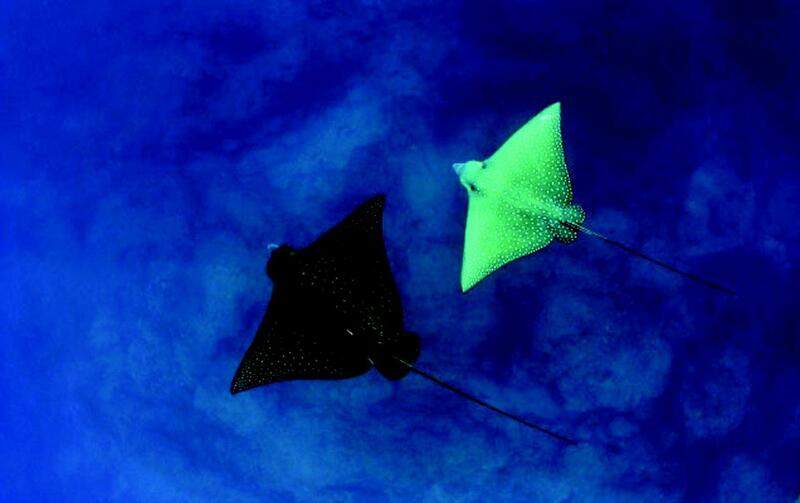 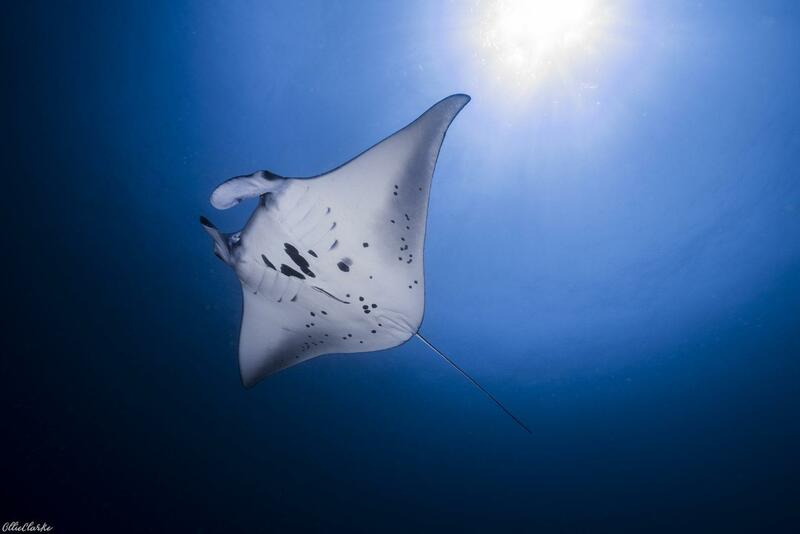 Eagle rays glide past in the blue and hawksbill turtles can be seen eating in the shallows. 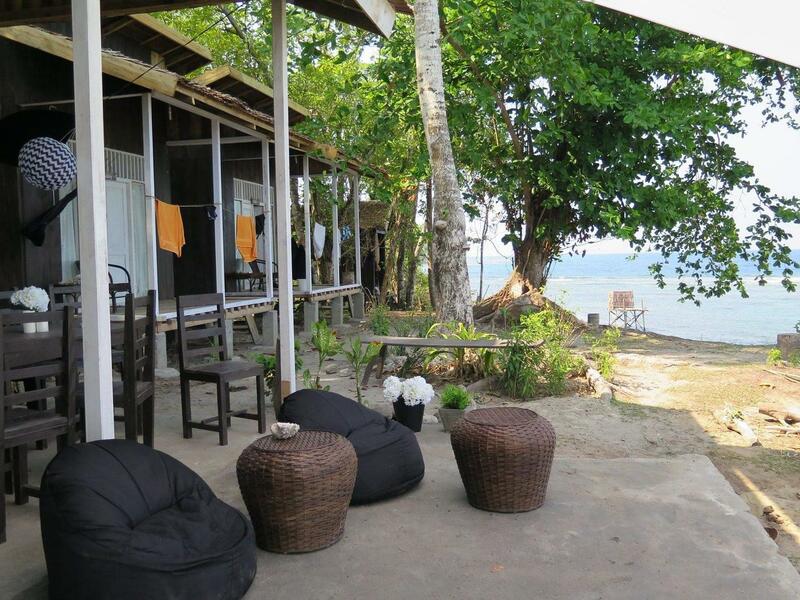 For the lucky few, a dugong may make an unexpected appearance near the mangrove entrances. 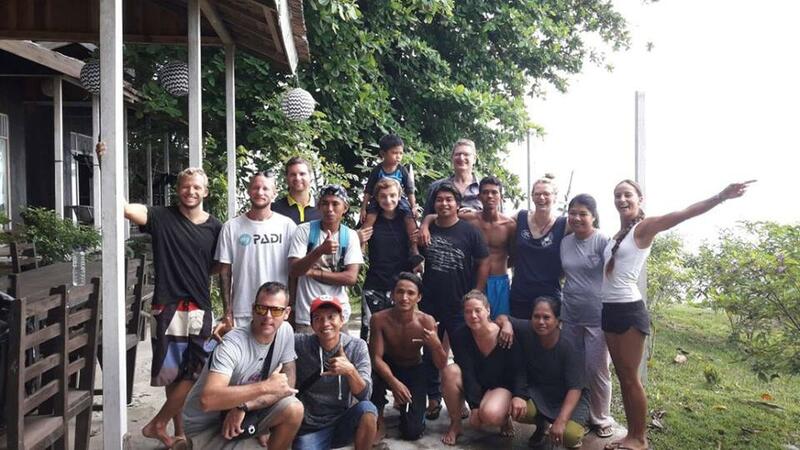 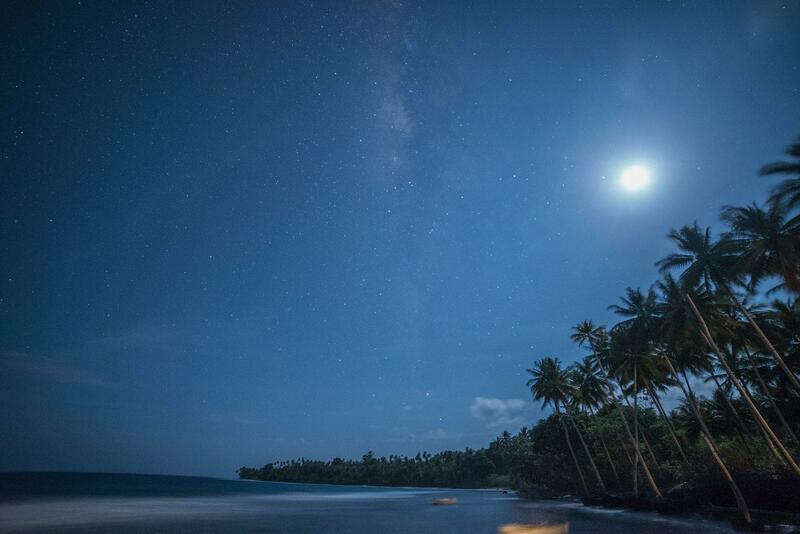 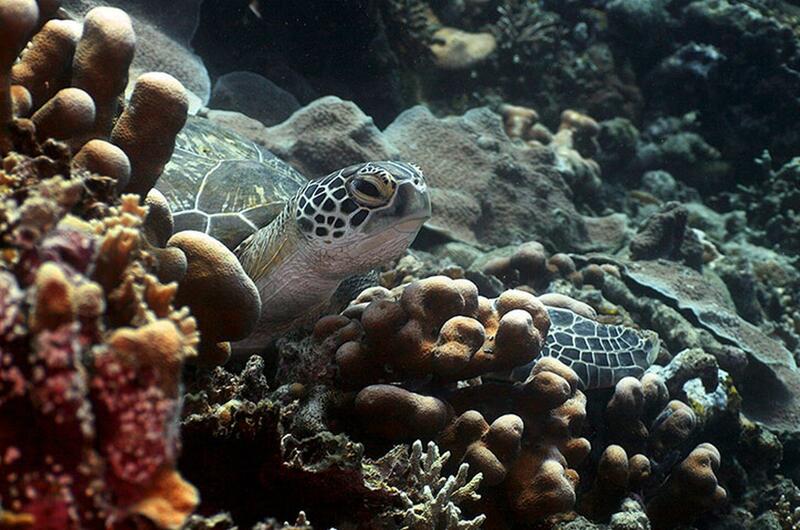 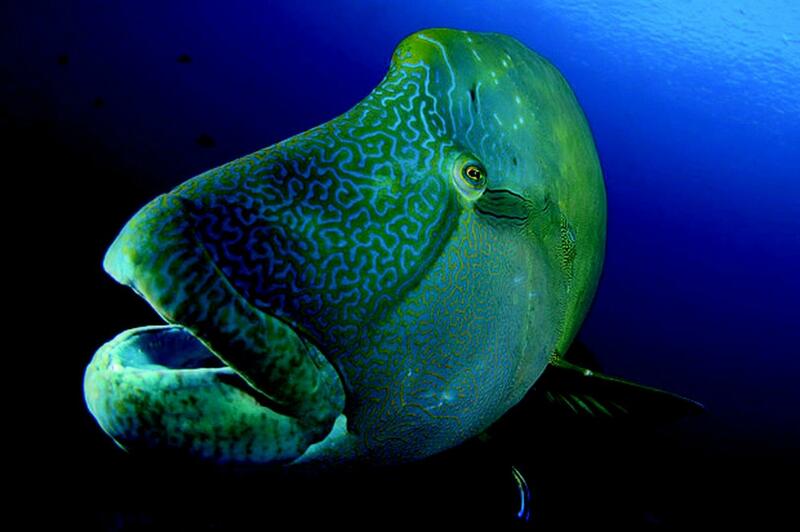 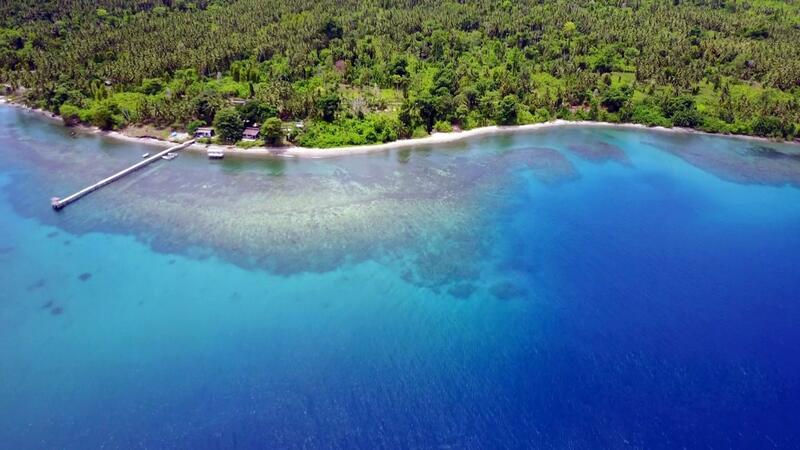 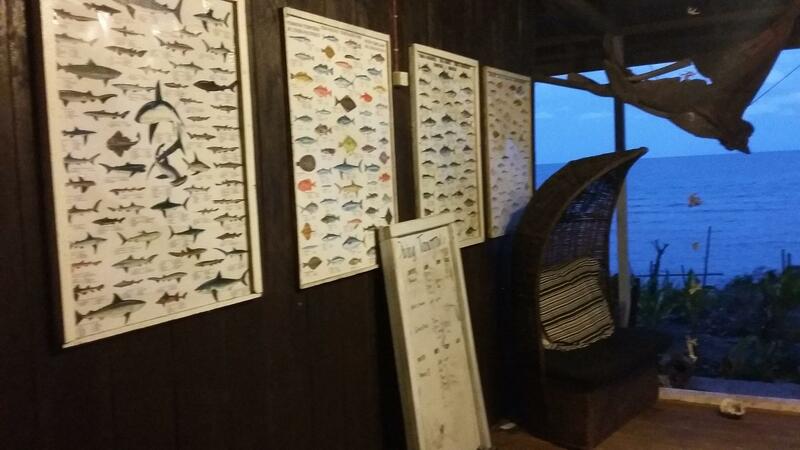 Your dive logs are sure to be full and happy after merely one dive in Central Sulawesi. 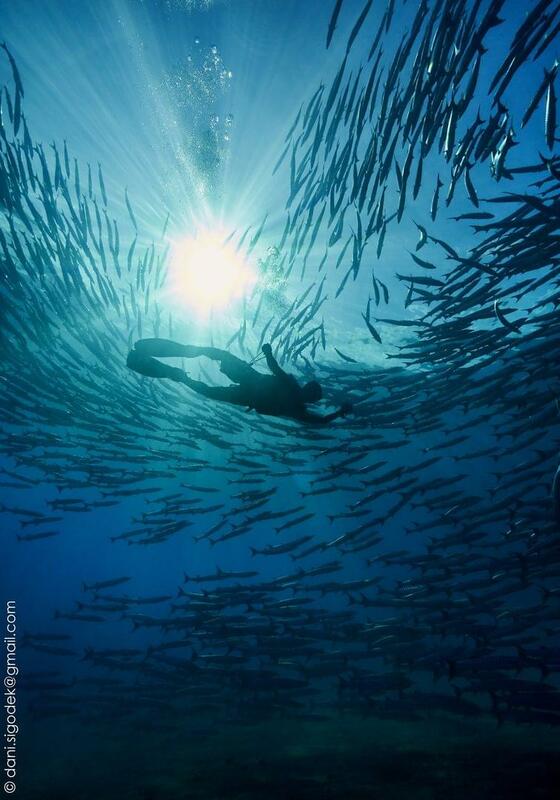 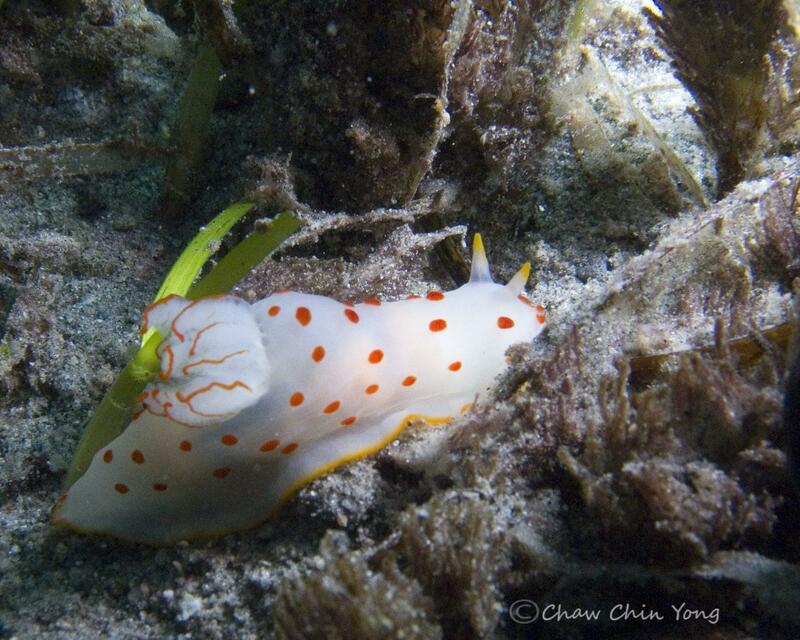 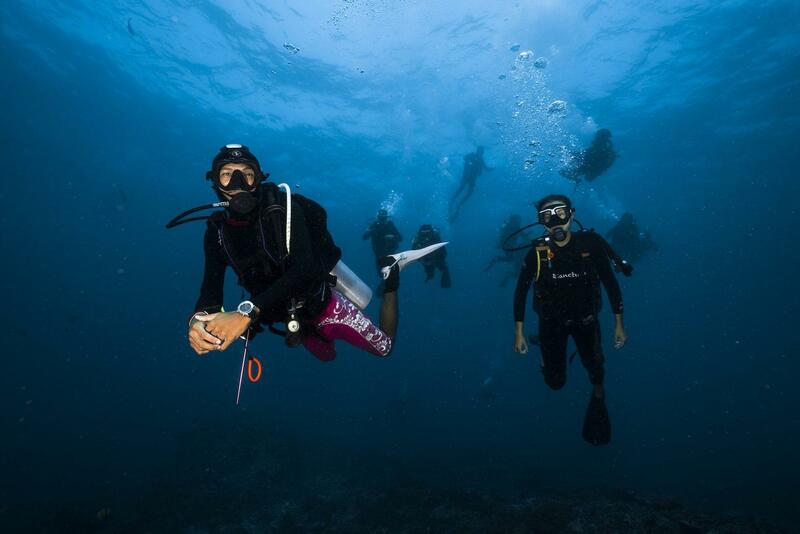 30+ dive sites around the island, discover new ones on your trip! 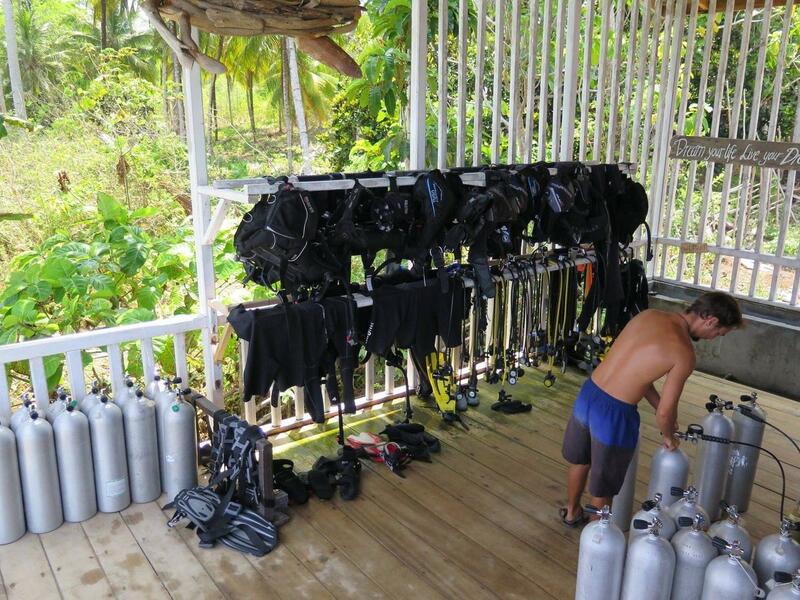 Sanctum Una Una Dive Resort is an informal waterfront PADI 5* Dive Center on Una Una Island. 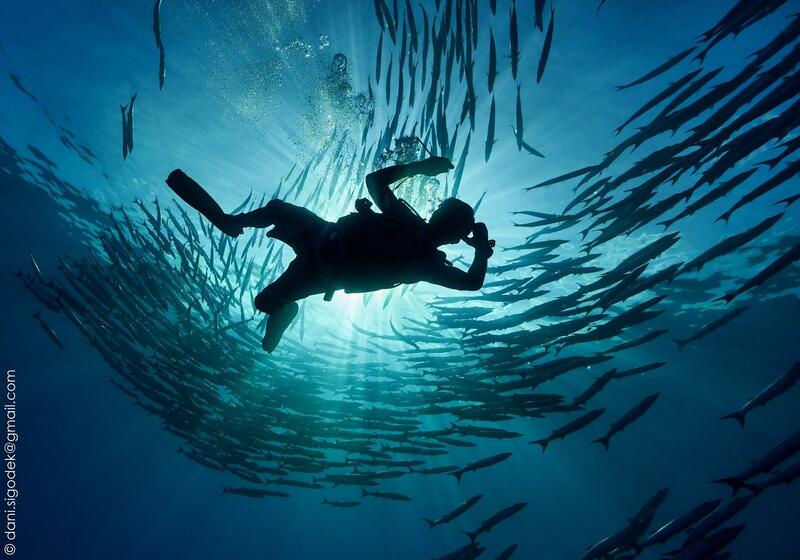 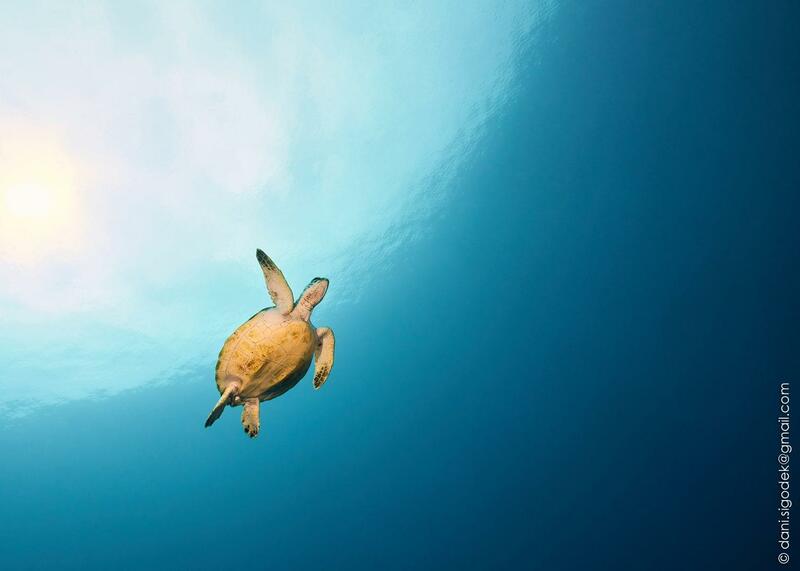 The crystalline waters are populated with a large array of marine life ranging from reef sharks to massive schools of barracuda, turtles, dolphins and macro creatures. 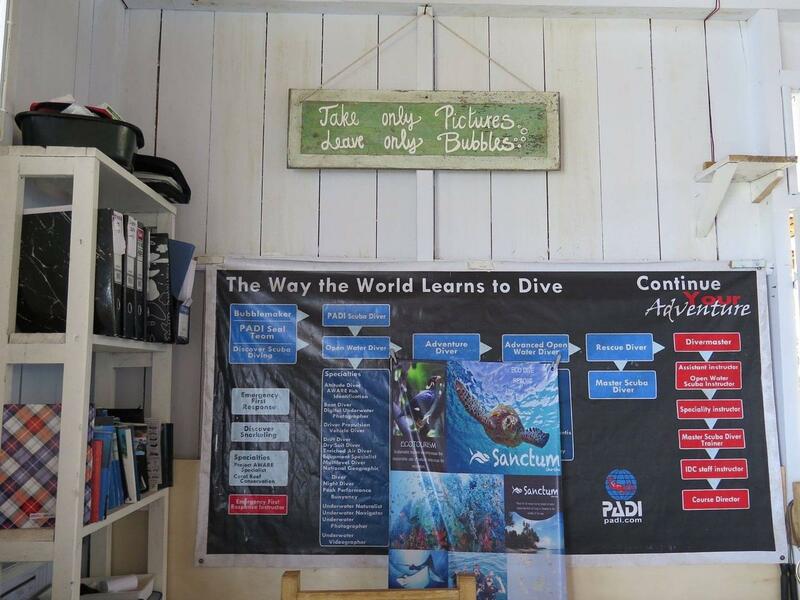 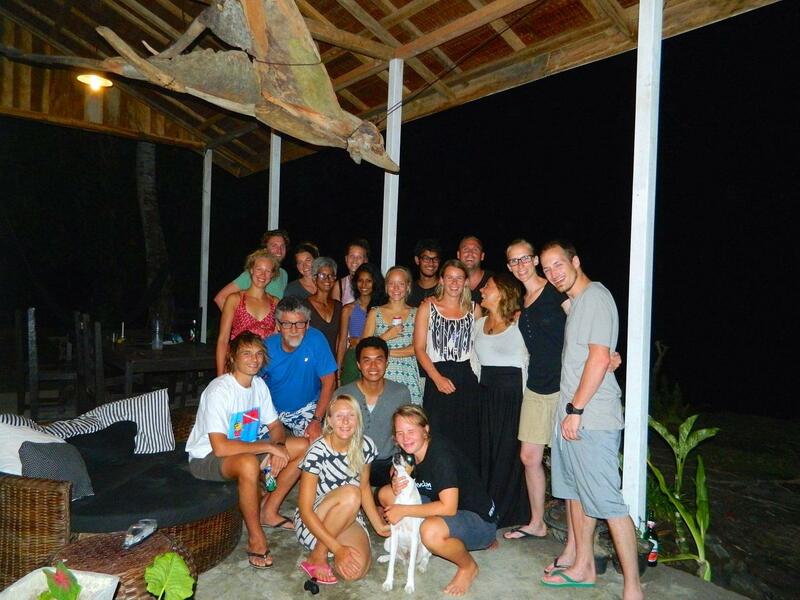 All levels of PADI courses are offered with different programs designed to cater to all level of divers. 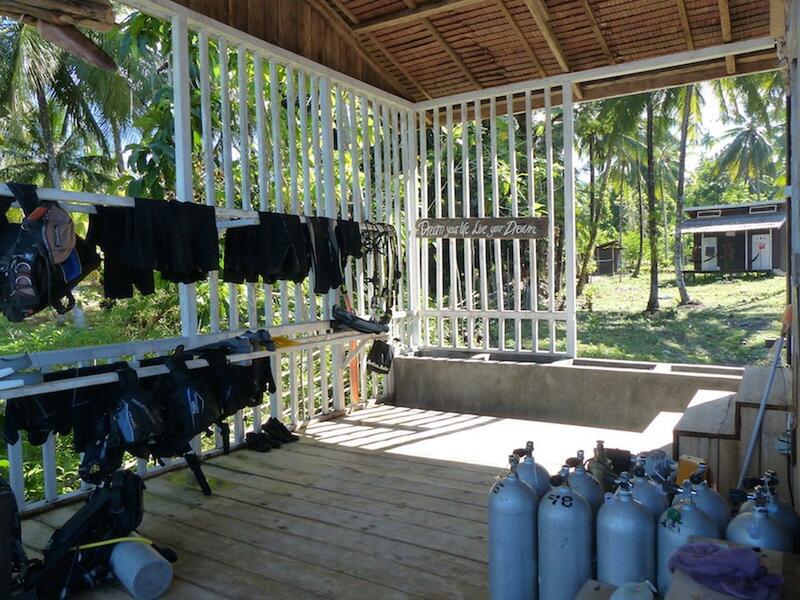 The center has four dive boats ready at the jetty that can be used for day trips to the west of the island. 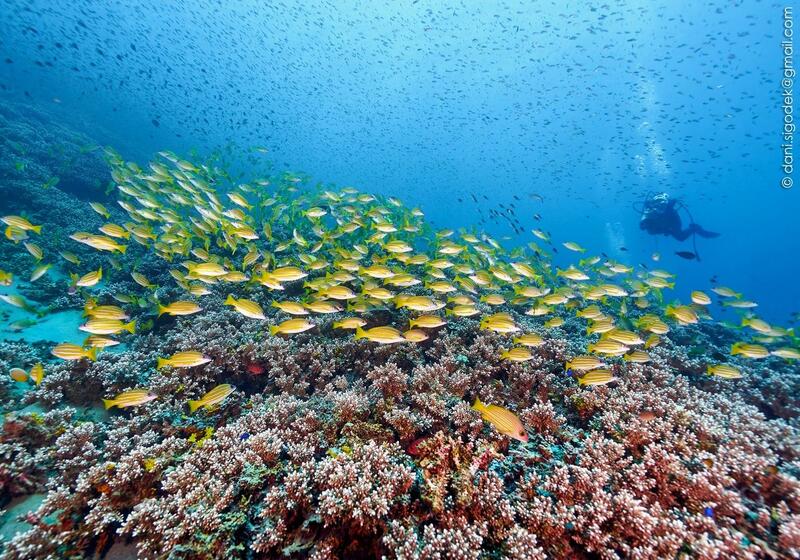 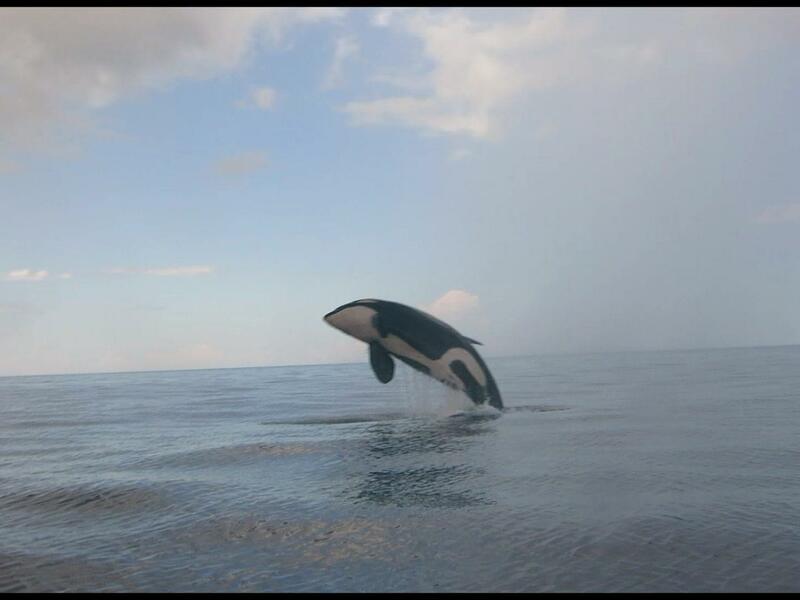 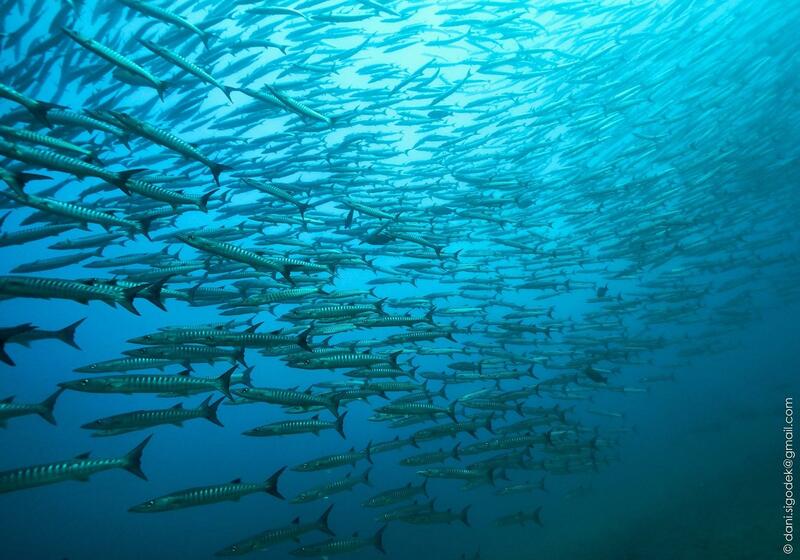 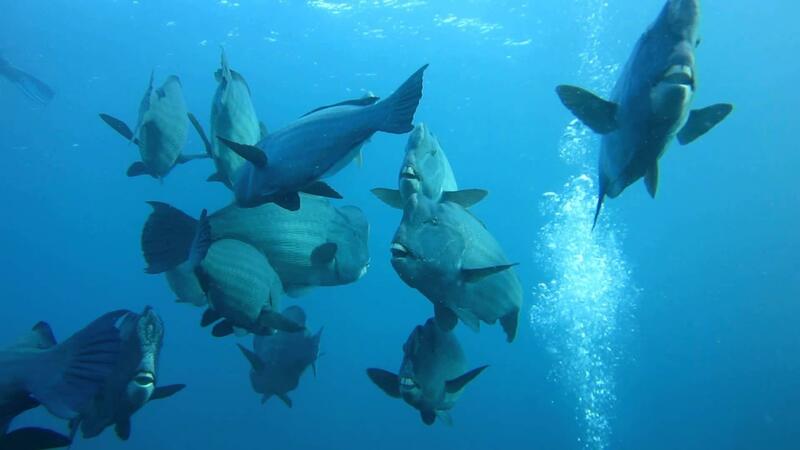 However, the majority of the dive sites are between five and ten minutes from the base. 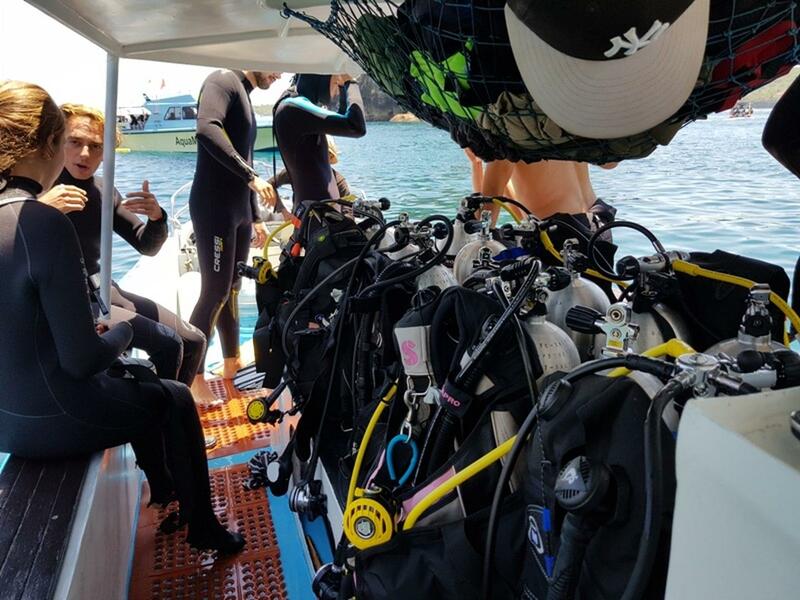 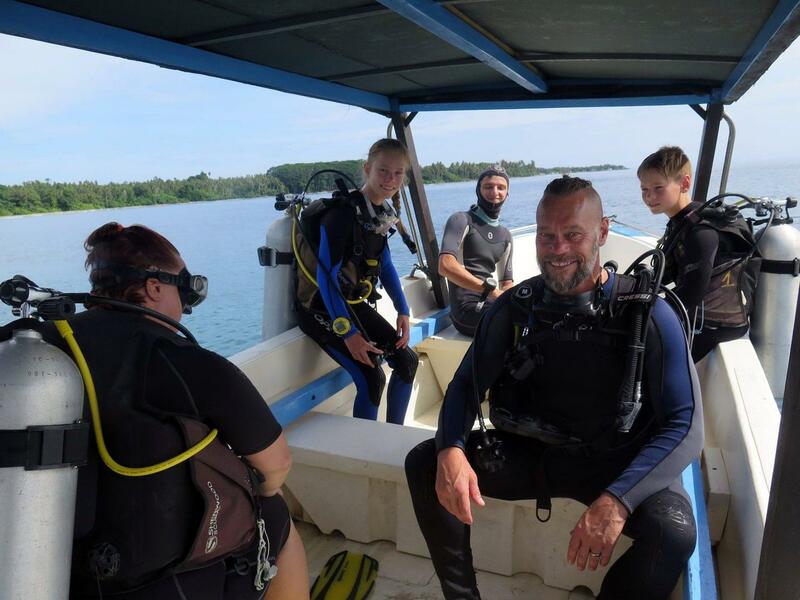 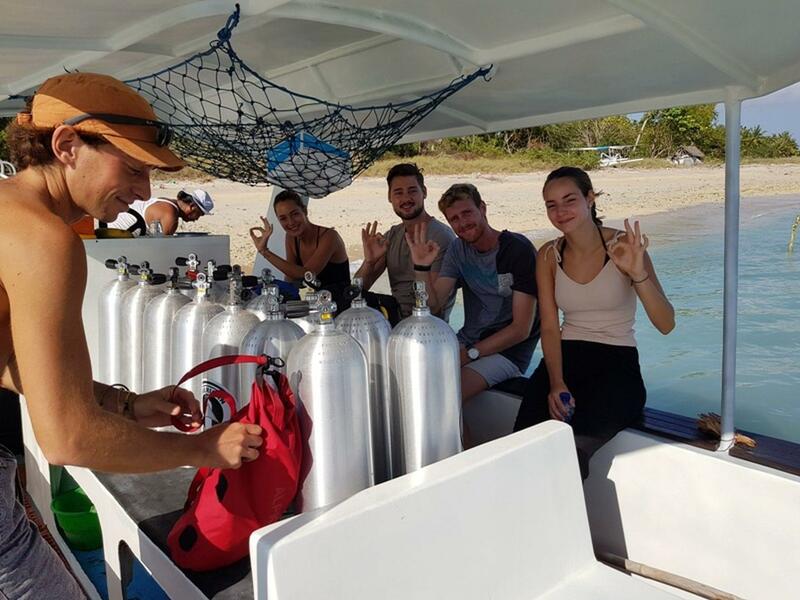 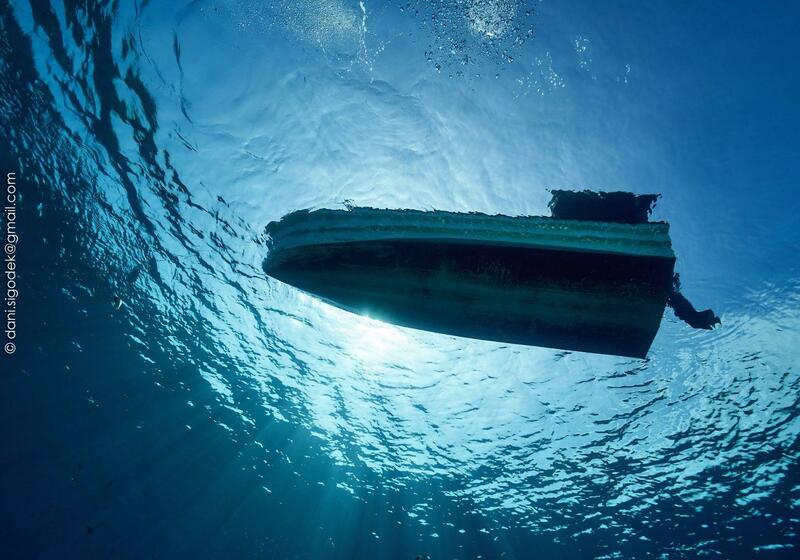 Dives often have an expeditionary character and new routes under water are always discovered; so every dive becomes an adventure, where you never know exactly what to expect! 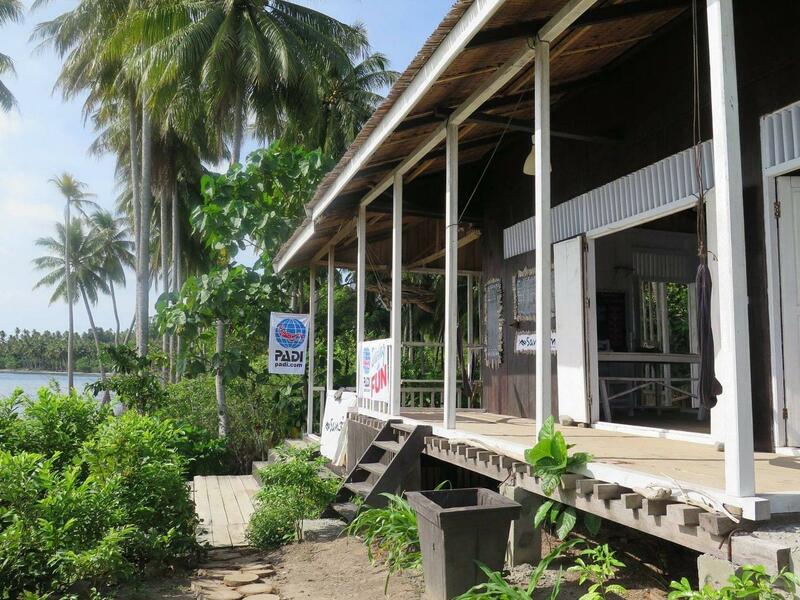 The closet airport is Ampana (VPM). 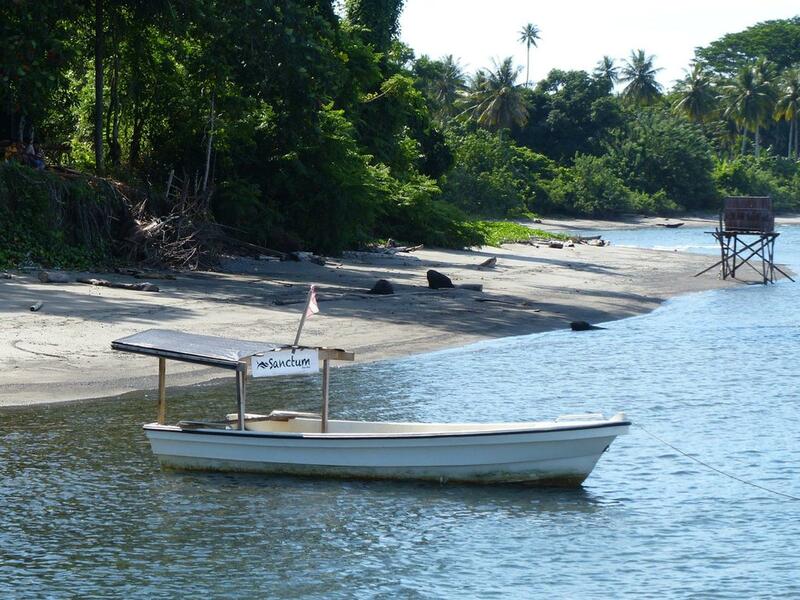 From Ampana Airport to Una Una Resort, its only 2 hours by private speedboat (additional cost, advance notice required). 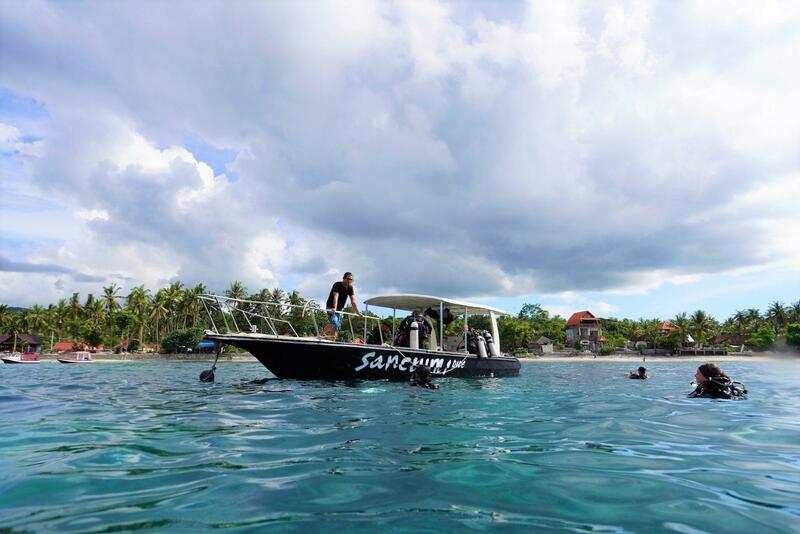 The other way to get there is to travel to Gorontalo and then from there take a public speedboat to to Wakai. 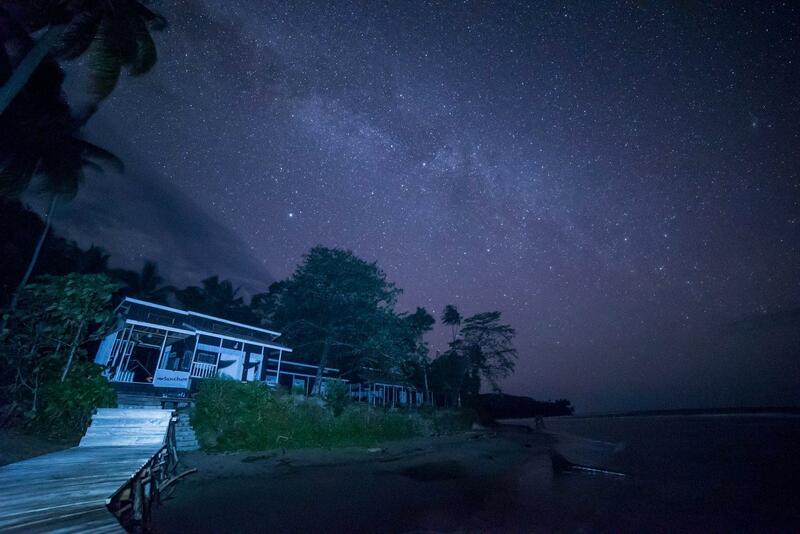 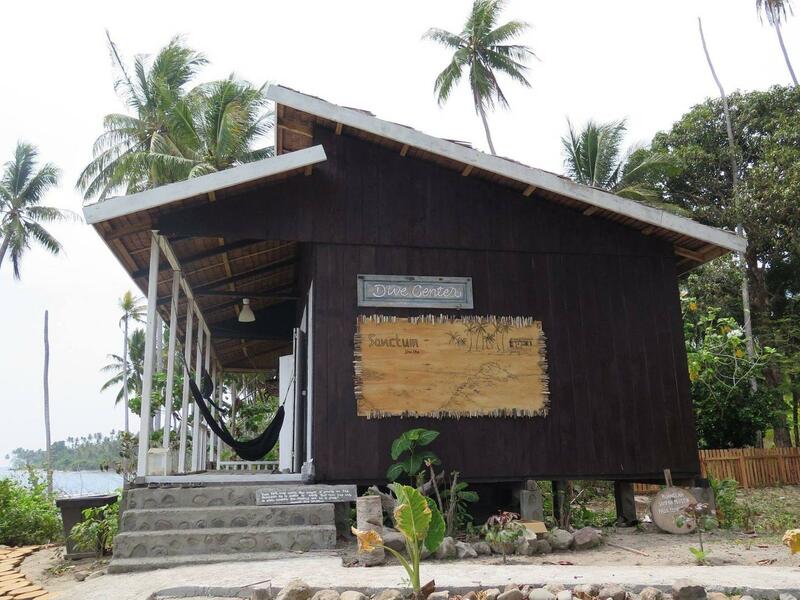 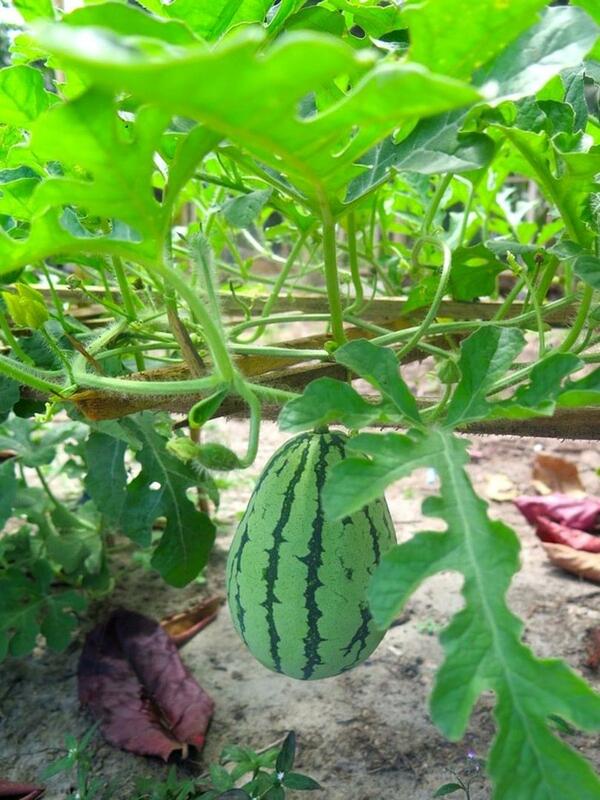 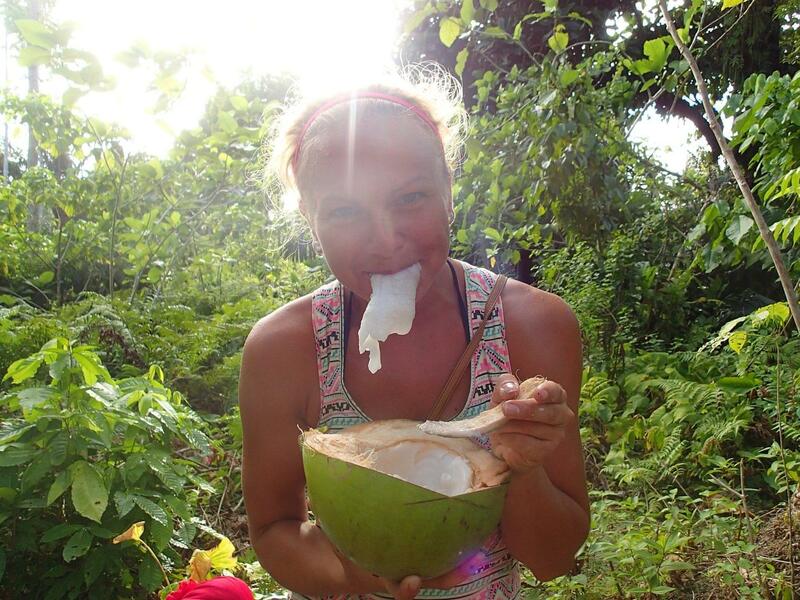 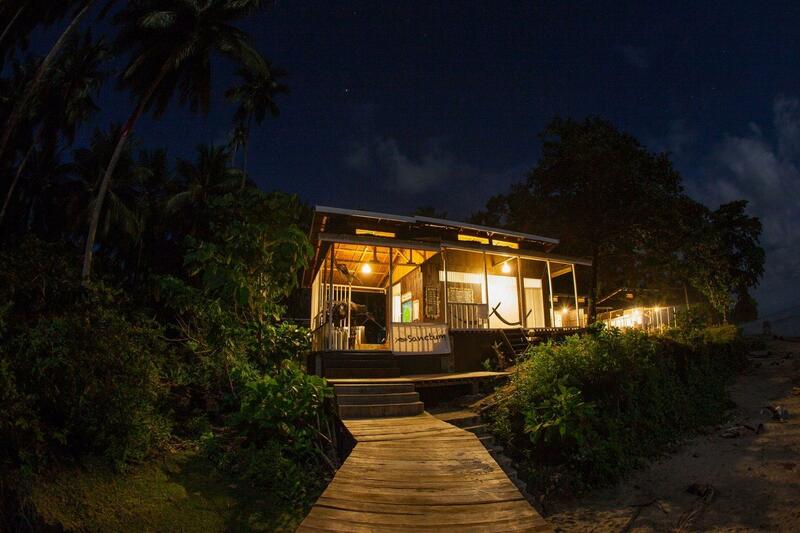 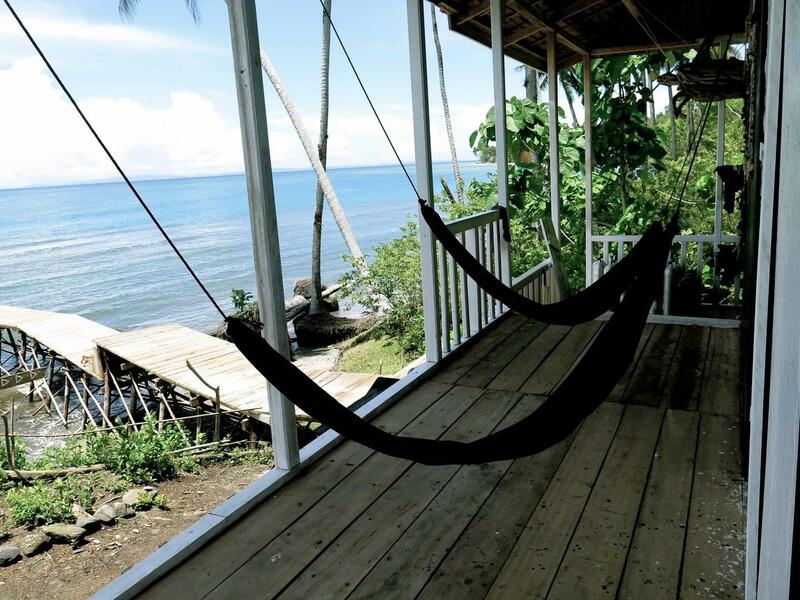 From Wakai you would need to take another speedboat or wooden boat ride to Una Una Resort. 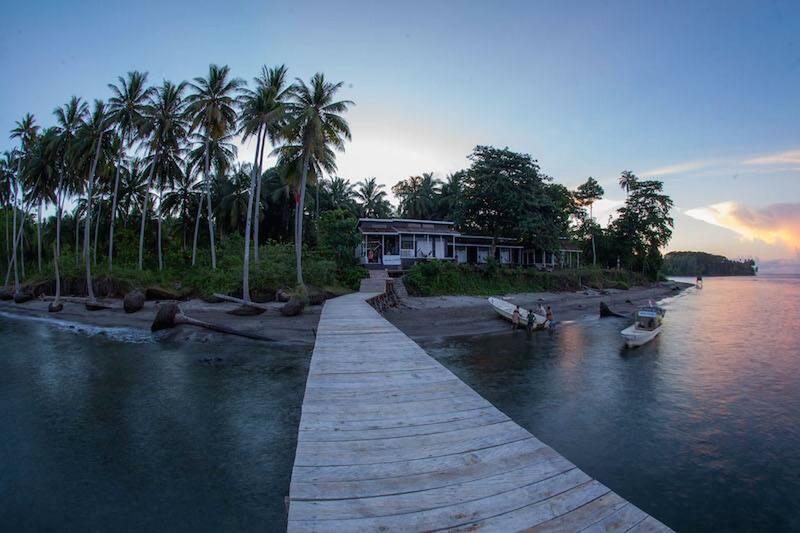 To get back to the airport, you can catch a private speedboat (advance notice required, additional cost) or travel via Wakai.